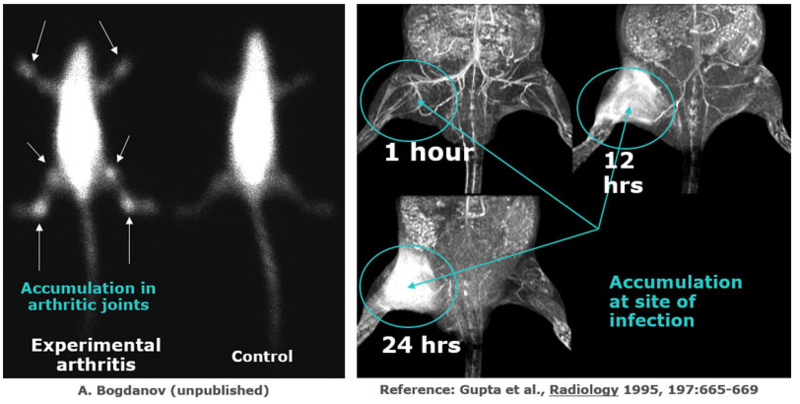 Enhanced permeability and retention and long circulation enables accumulation of PGC loaded with imaging agent to damage tissue. 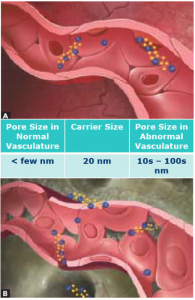 Accumulation of PGC-formulated-API in tumors is a result of long circulation and enhanced permeability and retention effects. 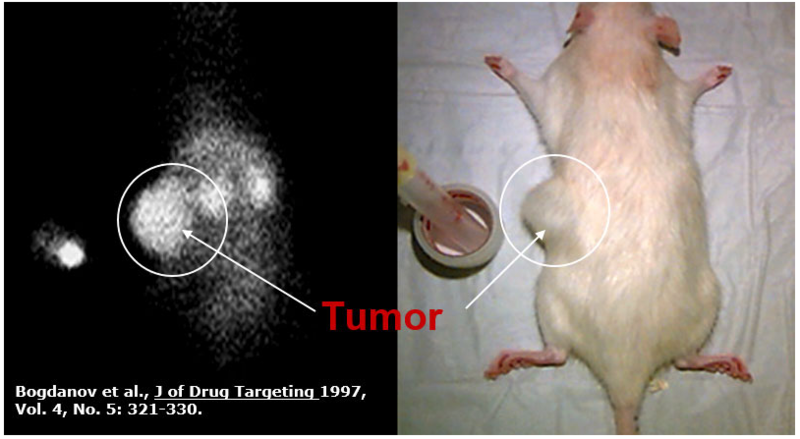 Rat breast tumor model imaged with PGC and co-labeled with Gd and 111In; Fisher rat at 48 hrs.